A delegation of the Dutch rail freight sector visited several Chinese hubs in a week-long trade mission to the Asian country last week. The Chinese Belt and Road initiative offers business opportunities to the Dutch rail industry, the government argued. Accompanied by Lidewijde Ongering, Secretary General of the Ministry Infrastructure and Water Management, the delegation visited the Chinese cities of Chengdu, Chongqing and Wuhan from 8-11 April. The journey was attended by government officials, as well as companies such as GVT, Nunner, New Silkway Logistics, Panteia, Samskip Logistics, Shuttlewise and Raillogic. Many of these companies already operate rail freight services between the Netherlands and China. Two direct lines are currently operational; one between Tilburg and Chendgu and another between Changsha and Tilburg. 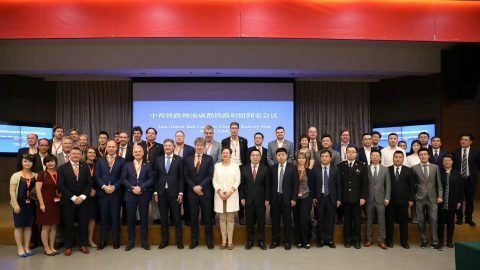 On 8 April , the Sino-Dutch Rail Logistics Chengdu Railway Terminal roundtable discussion was held by Qingbaijiang Rail Terminal Management Committee in Chengdu. From the Chinese side, companies as the Chengdu Ports and Logistics office, Chengdu Customs, Chengdu Inspection Quarantine Bureau and Chengdu International Railway Service (CDIRS) attended the discussion. The parties discussed opportunities for cooperation and assistance on importing more goods from the Netherlands, among others. On 9 April, the parties visited Chongqing for the Sino-Dutch Rail Logistics Belt & Road initiative roundtable session. Chongqing Port & Logistics office, the Dutch Ministry of Infrastructure and Water Management and the Consulate General of the Netherlands in Chongqing co-organised this event. During this meeting, some important issues, such as opportunities and challenges from the Chinese perspectives, customs clearance and phytosanitary and veterinary inspections, etc. were discussed. Finally, the Sino-Dutch Rail Logistics Belt & Road Initiative Seminar was held by Wuhan Municipal Government on 11 April. This was aco-organised by the Dutch Ministry of Infrastructure and Water Management, the Netherlands Business Support Office and Wuhan Transport Bureau. Two speeches were given respectively by the director of Wuhan transport Bureau and Head of Unit Safety and Rail Freight at the Ministry of Infrastructure and Water Management. These involved the future development and plans for rail transport to Europe and The Netherlands. Later on, pitches were given by both Dutch and Chinese companies for matchmaking purposes. In April last year, a Dutch delegation visited China as well. Among the officials was State Secretary of Infrastructure and Water Stientje van Veldhoven, accompanied by 39 companies. The focus of the visit was sustainable mobility. In October, NDL, the Port of Rotterdam Authority and Amsterdam Airport Schiphol traveled together with logistics-related organisations for an eight-day mission to China to promote Dutch logistics at various events. 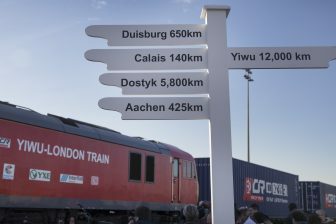 At the Silk Road Conference held in Tilburg in October, Dutch rail freight parties asked the government to be more supportive of rail freight between the Netherlands and China. Rail freight to and from China is booming, but the government could do more to support companies, some companies said. Several Dutch companies will be represented at the RailFreight Summit to be held in Gdansk, Poland on 15 and 16 May. 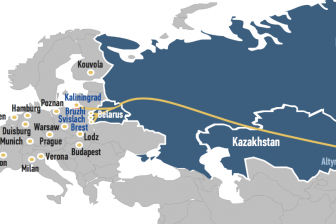 The first day of the conference will be entirely dedicated to the New Silk Road, while the Dutch-Polish rail connectivity in general is on the agenda the next day. Fore more information, see the programme of this conference or register.